To impress Amy and Kitty - the girls they hope to marry - Oxford undergraduates Jack Chesney and Charley Wykeham invite them to lunch to meet Charleyâ€™s long-lost aunt from Brazil. But when wealthy widow Donna Lucia dâ€™Alvadorez fails to show up, they press-gang their friend Babs - Lord Fancourt Babberley - into impersonating her. Mayhem follows mayhem, as Babs makes a very imperfect chaperone, and is kept busy fighting off the advances of the girlsâ€™ guardian, before the real Donna Lucia finally arrives and the course of true love triumphs. 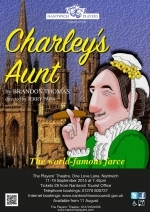 Brandon Thomasâ€™ world-famous farce has been delighting audiences since it began its original record-breaking London run in 1892. Directed by Jerry Park, performances will be at 7.45pm on 11 - 19 September, 2015. 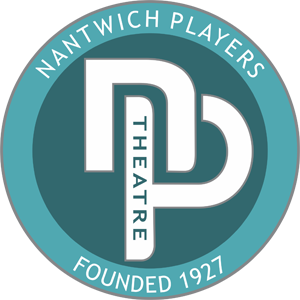 Tickets priced at Â£8.00 will be on sale from Nantwich Tourist Office (01270 600727) or on-line at www.nantwichtowncouncil.gov.uk from 11 August 2015.